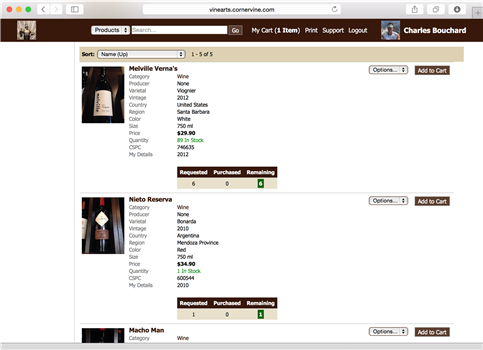 Gift Registries | CornerVine Inc. Gift registries are a great way to increase your sales and give your customers new ways to buy from you. With online gift registries, your customers can create and manage their own gift registries both in-store with the help of your employees and on their own. Your customers decide which products they'd like in their registries and how many. The owner of a registry can add, update, or delete products and quantities anytime. Each registry has its own link that can be emailed to anyone who may want to buy through the registry. Your native mobile app has a Registration Mode that allows your customers to quickly scan products in your store and select how many of each product they want to add to their registry. Gift registries can introduce customers to your store who have never bought from you before. The people buying a gift through a registry may be in a different part of the city or even a different country. They don't need to come into your store to buy from you. Once exposed to your online gift registry system, new customers will know that you offer that service and can use it themselves or recommend it to others. If a customer would prefer to come to the store instead of buying online, it's a great way to introduce them to your in-store experience, your employees, and your products. Online gift registries are extremely convenient for buyers. Your store can choose to support the Storage Service feature for gift registries. 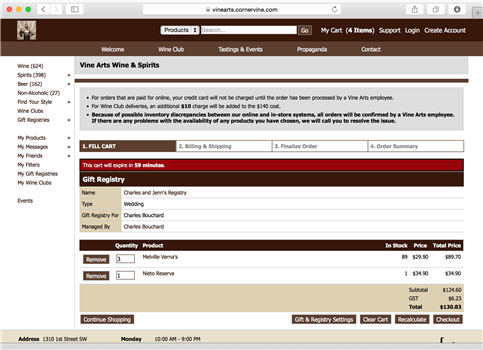 This means that when a customer buys for the registry online, they can select to have the order processed, but left at the store. With the Storage Service, when the event has passed and the registry is closed, you can assemble all products purchased for the registry and arrange a one-time pickup or delivery of the products to the registry owner. For people who live out of town or don't have time to come to the store, the Storage Service makes it easy for them to buy from you without having to worry about not being able to come to the store. Gift registries aren't just for weddings. Encourage your customers to use gift registries for all sorts of events where multiple people want to buy gifts for a person or group. Birthdays, housewarming parties, and engagement parties are just a few examples of how gift registries can be used. For fundraising events, gift registries can be created by an organizer who adds all the products to the registry, then asks poeple to buy as a donation to the selected cause. The products are then typically auctioned off at a later event to raise money.